As part of its response to issues brought to light in 2014 of the inequity of treatment of African Americans by the criminal justice system, members and friends of First Unitarian Universalist Church of Richmond held numerous discussions about what they could do to address these issues in our community. 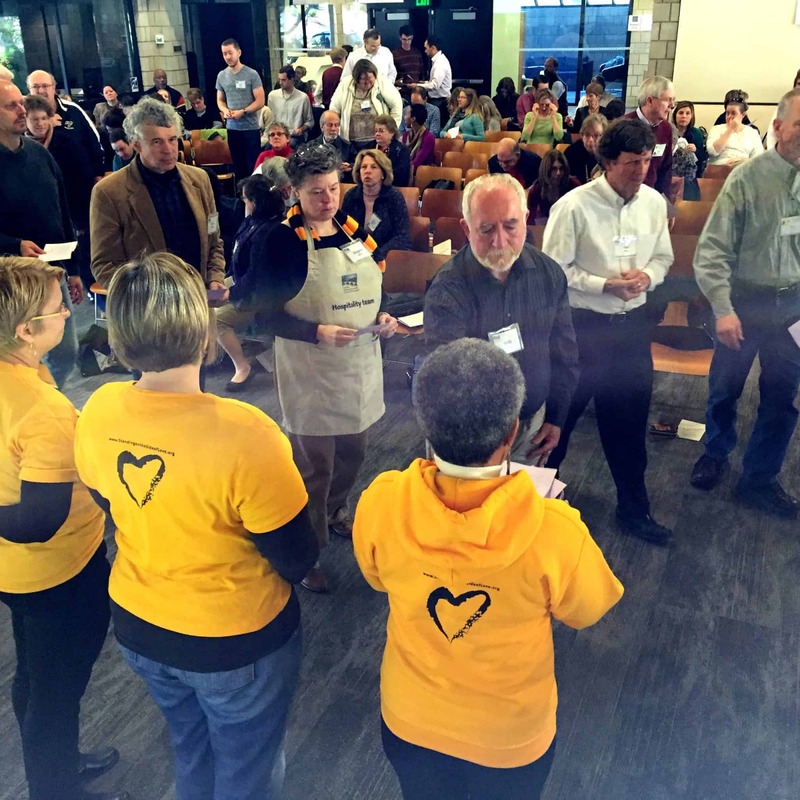 Recognizing that change starts with the individual, on December 7, 2014, First Unitarian Universalist (UU) held a service during which people were to sign a Richmond version of the Birmingham Pledge. More than 200 people signed the pledge that Sunday, and more have signed it since. If you’d like to learn more about how you can incorporate the Richmond Pledge into your own life, register for the Fall 2015 two day workshop. ← Help to end racism one person at a time!